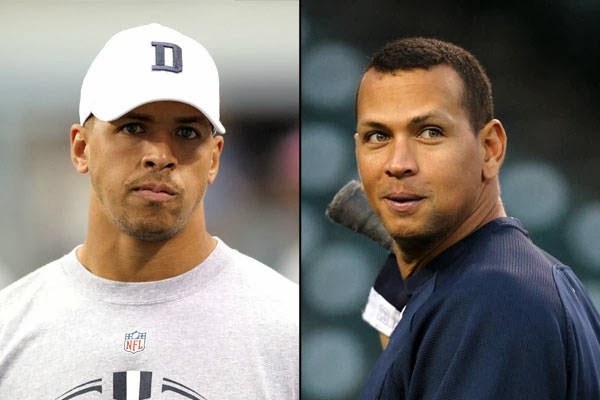 There is always a feel that some celebrities greatly resemble athletes that we see play on some of our favorite professional teams. Today your not just going to see a list of players and their fellow doppelgangers but actual photos that will blow your mind on how closely these people look like one another. You might see some of your favorite MLB players...and you might see some of the players you despise most (cough cough....Alex Rodriguez). Either way relax and have a laugh at the top 5 MLB look alikes from today's players. Laugh all you want! Thats purely what we are intending our viewers to do in this article! Enjoy! - The hair....the face and everything else. These two guys clearly could be twin brothers if we saw them on the street and had no clue who either person was. 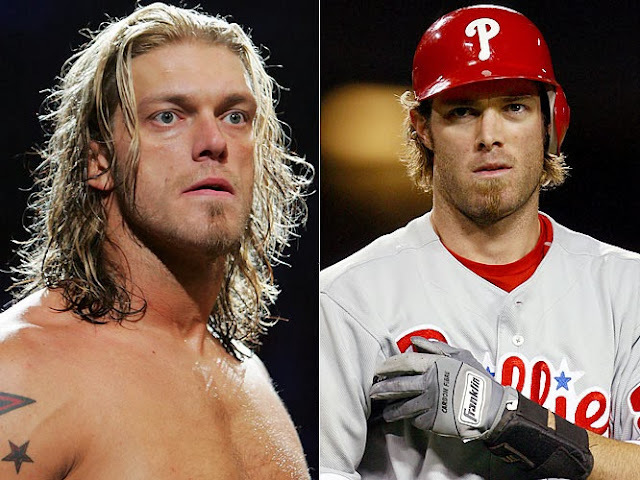 Edge (an 11 time WWE major singles title holder) matches up perfectly with the one time World Series champion. - Out of all the look alikes we will discuss today I think this one right here fails to sink in the mind of sports fans everywhere. A-roids (jokes) literally could swap sports with Austin and nobody would ever notice the difference. -Come on...don't do me like that. 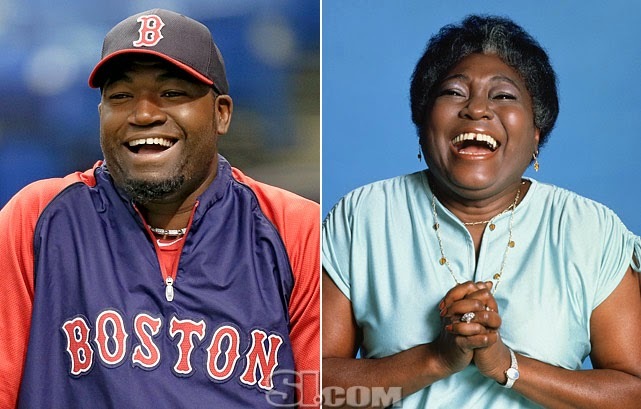 The late actress is best known for her time as "Florida Evans" in the CBS sitcom Maude and has a very special resemblance of three time World Series champ David Ortiz. These two are probably the oddest pair we have on the list...but not before we break out Mr. Incredible! 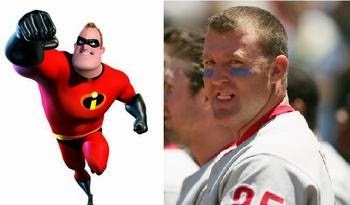 -Wow....Thome really does look like a Pixar character! The 21 year player easily could have landed a spot as Mr.Incredible if it wasn't an animated film! - Two batman's? 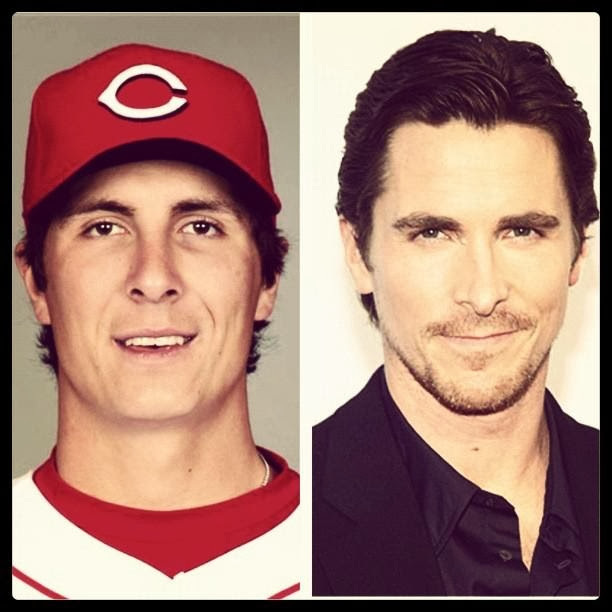 Reds starter Homer Bailey might not have the voice for Christian Bale's character but he easily could score a job as Bruce Wayne! Hey if Ben Affleck can be Batman then why cant Bailey be him? Everyone may look very similar behind the black mask but nobody would look as close to Wayne as Bailey would! 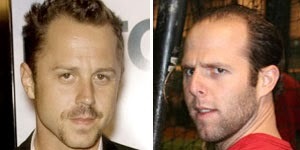 - Ribisi (Who currently stars in FOX's sitcom "Dads") is a very accomplished actor...but did he ever play baseball? Probably not.. but someone who looks just about the same is a two time World Series champion! These two look beyond alike if you ask me...not as much as our #1 pair though! On to number one! 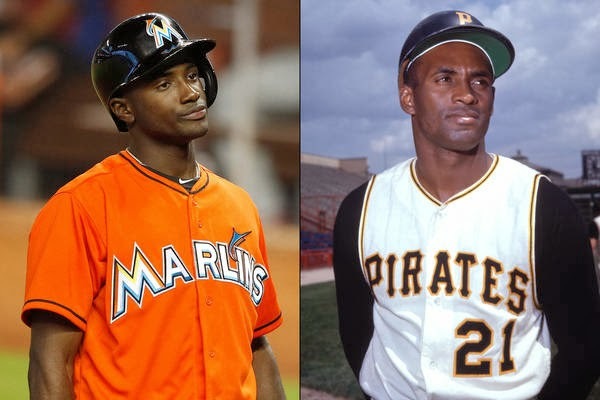 -Hechavarria will never be as good as Clemente was but who says he cant look exactly like the 15 time All-Star and 12 time Gold Glove award winner?These two look EXACTLY the same. If I was to meet Clemente today (which I wish I could) I would probably mistake him for Hechavarria! I hope you enjoyed the ranking! If you would like to see more rankings of look alikes (either NBA, NHL, MLB, WWE, or even soccer!) please don't be shy to comment below or tweet me directly on Twitter at @dan_jcarney! Great list. The Bailey/Bale comparison is insane... but my favorite is the Big Papi.